Wild, windy, and free! Lighten your load by making your memorable announcements via this North Dakota Postcard. 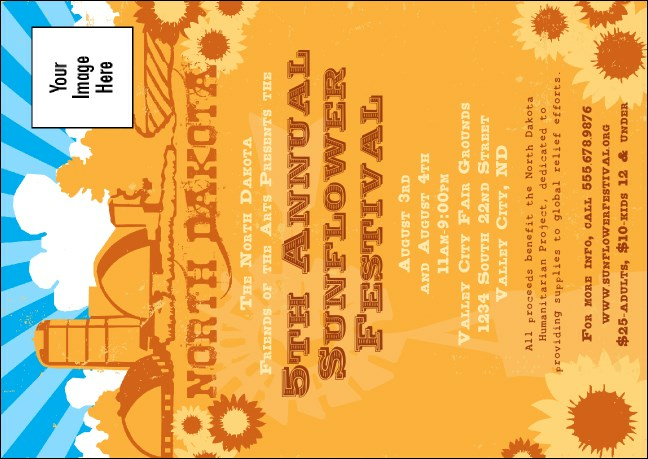 A delightful design featuring sunflowers bobbing in a colorful meadow is an ideal way to merge your mailing list and generate interest in your big, upcoming Flickertail State event. Let your news fly like the wind with fast Postcards from TicketPrinting.com.